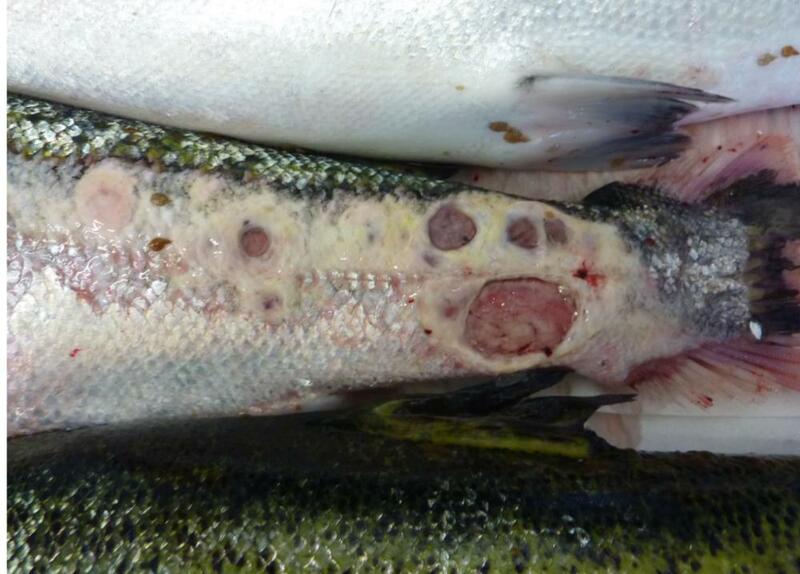 Environmental campaigners have accused Scotland’s salmon farming industry of repeatedly breaching limits on sea lice infestation, escapes and fish mortalities and putting profit before welfare, following the recent release of graphic images of farmed salmon left with ugly open wounds by sea lice parasites and disease. They want a temporary ban on all new fish farms until far stricter controls are in place, a stance backed by the Scottish Green party. The industry, however, buoyed by record exports worth £600m last year, wants to more than double production by up to 400,000 tonnes by 2030. The Scottish Environmental Protection Agency (Sepa), the country’s pollution and water quality watchdog, will soon publish proposals for its strictest regulatory regime yet. It said earlier this month that compliance by Scotland’s fish farms with existing standards covering seabed pollution, waste, chemical use and water quality had fallen from 86% to 81%. “Sepa is clear that compliance with environmental laws is non-negotiable,” said John Kenny, its acting head of compliance. The new regulations would “include more powerful modelling using the best available science, enhanced environmental monitoring, a new approach to sustainable siting of farms, and new approach for controlling the use of medicines”. “The status quo is not an option,” it said. At a salmon farm at Loch a’ Chàirn Bhàin, near Kylesku in the far north-west of Scotland, executives shepherding a group of fish merchants from Brixham were weary of the intense criticism their industry faces. Alban Denton, the managing director of Loch Duart, argued it already operated under the toughest regulatory regime of any livestock industry. Even so, Denton and his colleague Andy Bing, who founded the firm 40 years ago, suggested there were better, more sustainable techniques the industry could follow. It puts fewer fish in its cages than most, running a stocking density of 1.5% fish against an industry norm of 2% “biomass” per cage. It promotes “non-medicinal farming” where wrasse, a small fish that eats marine parasites, act as cleaner fish to peck off any sea lice on the salmon. The wrasse are harvested from the wild sustainably, the firm says, living in artificial reefs made from sliced up black plastic in a corner of each salmon cage. Yet wrasses’ role as a highly sought after solution to sea lice infestation has pushed its price as high as £50,000 a tonne – the most expensive by weight in Europe. Loch Duart suspended one supplier in south-west England earlier this month for allegedly fishing in a no-catch zone. 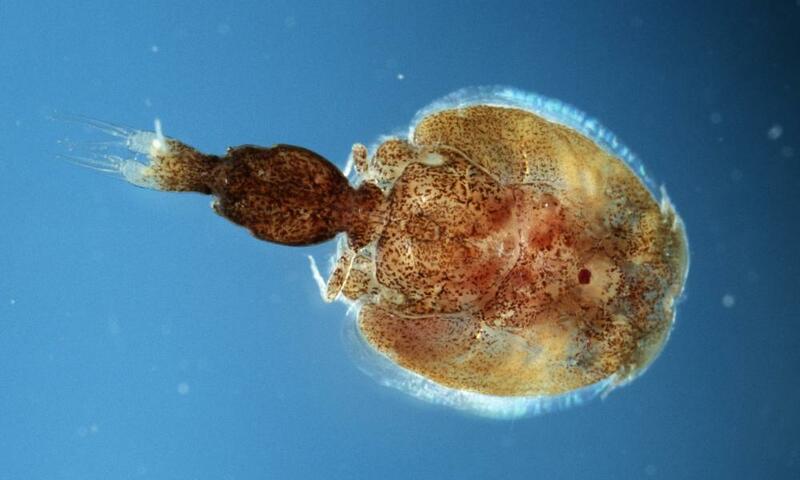 Its farms lie empty, or fallow, for five months rather than an industry norm of five weeks, to allow the seabed to recover and suppress sea lice numbers. They say that combination of tactics works: on the eight cages on Loch a’ Chàirn Bhàin, six have been entirely sea lice free this year, and two had negligible numbers. It has had serious issues with sea lice in the past, and has shot seals too, under licences that conservationists believe are too lax. Yet Loch Duart sells into the elite end of the market. Its fish commands prices 20-25% higher than their competitors. Largely exported, none of its produce ends up in cut-price salmon sandwiches for Tesco or Costa, or smoked and sliced for Marks and Spencer’s Lochmuir. Instead, its whole fish are mostly exported to Michelin-starred restaurants in France, where they have won the coveted Label Rouge quality marque, or exclusive sushi restaurants in San Francisco and Manhattan. 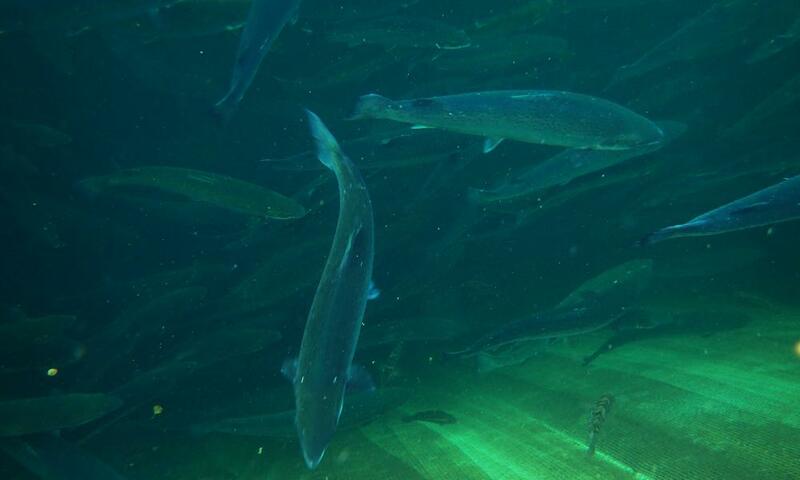 The challenge for the multinationals that collectively own most of Scotland’s salmon farms, for regulators such as Sepa, and ministers, is to decide where the balance lies, said Andrew Graham-Stewart, of Salmon and Trout Conservation Scotland. It campaigns to protect wild salmon and trout stocks, which are threatened by escapes of farmed fish and the sea lice they attract. Do they want to promote cheap supermarket salmon or properly protect the environment, and the fish being farmed? 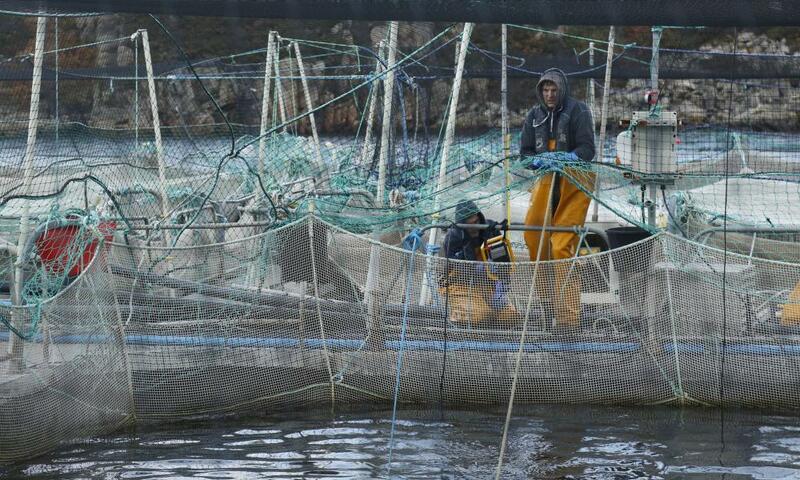 Ian Roberts, a spokesman for Norwegian-owned Marine Harvest, which produced nearly a third of Scotland’s record salmon yield of 190,000 tonnes last year, said the firm would embrace tighter regulations. His firm had made mistakes in the past, but fish farming was here to stay, he said.